Canon is working on improving their Super Telephoto lens line with the aim of increasing image quality, focal length and decreasing weight. Their EF 400mm f/4 DO IS II is a fine example of this. I purchased the Series I model over 10 years ago but the Series II is a dramatic improvement and I expect more Diffractive Optics models will be announce in the years ahead. 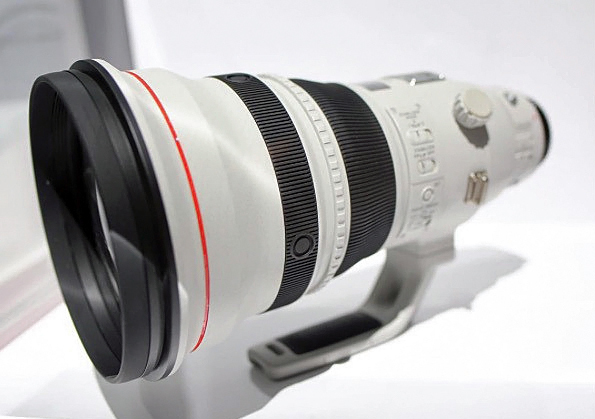 The EF 600mm f/4 DO BR lens made an appearance in last year's Canon EXPO in New York City. This lens will be announced some time next year, in time for the 2018 Winter Olympics in South Korea. I am anxious to buy this lens. The patent for the Canon EF 600mm f/4 DO IS is listed below. Canon EOS-1D C Mark II Camera with 8K Video?